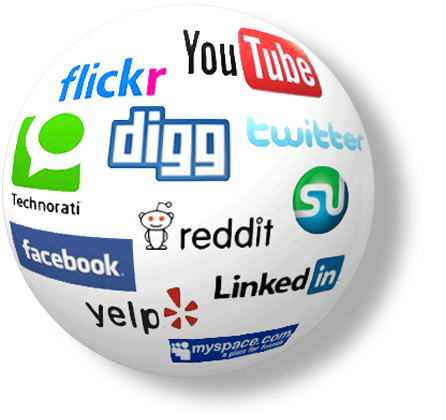 Why is social important to your website and hosting plans? Social media has taken over the world. Even if you’re not a massive user of social media yourself, it is likely that your company uses it, or you have friends or family members who interact on various social media websites.That fact alone is enough to demonstrate the importance of social media marketing. The key to any sort of marketing activity is to know where your audience is and connect with them; the fact that everyone is or knows someone who is on social media tells you that, if you’re a business, you need to be on there to connect with as many people as possible. Not Just a Fad We’ve gone a long way past the point where social media can be dismissed as something of a fad. With Google+, Twitter, and Facebook having 400 million, 500 million, and one billion global users respectively, it’s fair to assume they’re not going to drop off the radar anytime soon.These numbers represent a massive global audience and huge potential for businesses to market themselves. A television or newspaper advert, a billboard, or any other type of traditional advertising is unlikely to be able to reach that many people. Reputation Management Many people use their favorite social media sites for everything, from contacting friends to finding out the latest news. As a result, people will often take what they hear on social sites as gospel. Therefore, these platforms are great for companies who want to enhance and protect their reputation. It doesn’t take long to post a tweet or a Facebook update, whether refuting an allegation made in the press or publicizing some great work that has been done on behalf of a charity, and everything in between.Brand Building and Awareness It is easy to create a buzz on a social media site, whether you’re talking about the launch of a new product or publishing news about the company. If you’re able to get something to go viral then you’re going to massively increase your brand awareness around the world.Another positive aspect of social media marketing is that you’re able to keep your company front and center of everyone’s thoughts. Marketing is all about ‘the hook’ that gets people buying into your brand and remaining loyal to you. While you’re not going to want to bombard people with dozens of updates a day, maintaining your social media presence means you’re always in the thoughts of your audience, and stand a far better chance of making customers of them.Word of Mouth This element of social media marketing is the crowning glory for most companies, as once you have a loyal following your marketing takes care of itself; you just publish your message and allow everyone to share it, bookmark it, and spread the word about what you do, which also has a huge impact on SEO.The trust that people have in the information they receive through social media channels is immense; if a business isn’t set up to maximize the potential from these areas, then their marketing plan needs an urgent review!